At 1am on a Friday night, Chattanooga’s streets merely whisper. Most nights, if you listen closely enough, you can hear the river lapping at the mountainous shores. But tonight, the water isn’t the town’s main attraction, because in front of the Doubletree Inn where I’m staying, a fedora-clad Elijah Wood mulls around with a band of filmmakers who are smoking cigarettes and laughing. Even in the dark, Wood’s eyes shine remarkably bright. They’re eyes made for the big screen, but he’s not here filming a new movie. He’s in town as one of the top billed guests for the Chattanooga Film Festival, where he’s introducing the fantastic, Persian-language vampire film A Girl Walks Home Alone at Night, which he helped produce. It may seem odd, but from April 2nd to the 5th, Chattanooga’s more star-studded than a Wes Anderson flick. 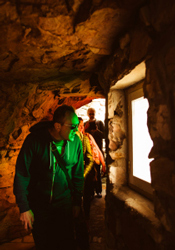 Tourists catch glimpses of Wood along with Pat Healy, Bobcat Goldthwait, Joe Bob Briggs, Rick Clark, and Kyle Kinane, among others. 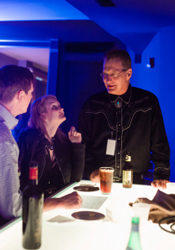 The high-powered group of actors, directors, musicians, and comedians are here to attend and support the festival, which, in its second year, is the Southern Sundance. 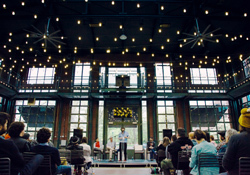 Given my experience at this year’s fest, I wouldn’t find it surprising if the Chattanooga Film Festival one day surpassed its elder cousin in the North. Which, in some ways, is the goal of Chris Dortch, the young film fanatic—in the best sense—at the helm of the festival. This past year he and a few CFF volunteers attended Sundance, both to vet films for CFF and to watch the pros in action. They returned with the same gripes Sundance attendees have every year: There are great movies but no sense of community. It’s simply too spread out. Thanks to Dortch’s planning, CFF doesn’t have that issue, for several reasons. This year’s films showed on few screens at a local Carmike. Next to the theatre towered a tent, where attendees could find a bar serving Chattanooga Whiskey—side note: Every bar, festival party, and restaurant fervently supports its own city by offering this incredible whiskey, a truly heartening display of solidarity—alongside a few movie-themed pinball machines, lounge chairs, movie fans and makers. Instead of forcing attendees to purchase day- or weekend-long passes, as most major festivals do, anyone can see a single movie. It’s all in the spirit of inclusion, but that doesn’t mean Dortch and his team allow just anything to wander across their screens. He personally watches each movie—many times—to consider for quality, regionality, and importance. 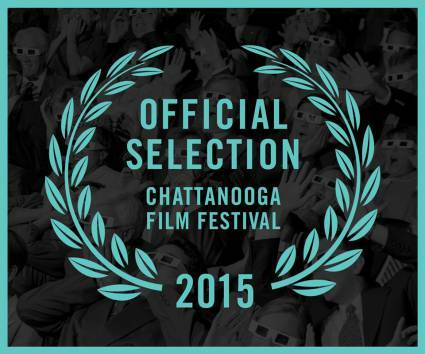 If the CFF is to be premiered at the festival, it begins with the movies. The result is a film lineup so strong its biggest flaw is an inherently positive one: Attendees have to choose, and the choices are beyond difficult. E.g. This year brought the aforementioned critical smash A Girl Walks Home Alone at Night along with Joe Swanberg’sDigging for Fire, the vampire comedy What We Do Alone at Night from the gents behind Flight of the Concords and the year’s breakout horror flick It Follows. Bobcat Goldthwait introduced his documentary about the indelible Barry Crimmins Call Me Lucky. For the non-film nerds among you, this is a killer lineup. This is Haight-Ashbury in 1969. This lineup is part of the Conversation. And that’s important for the South. Film already exists here. Louisiana produced more films than Hollywood last year, and Georgia wasn’t far behind. But production is one thing, presence is another. It’s the difference between the kitchen and the dining room. The celebrities who flocked to Chattanooga could easily have split town after their movies premiered. Instead, they stuck around, a solid decision as Chattanooga offers a veritable riverboatload of unique attractions. These celebrities not only attended other screenings, but they visited Rock City, wandered the forward-thinking pedestrian-friendly downtown, and waxed poetic about the city (while downing its eponymous whiskey). 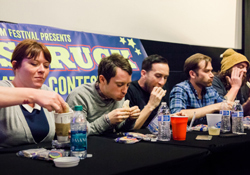 Elijah Wood even won a moon pie-eating contest. But don’t take my word for it. Go see for yourself. Next year’s festival takes place from March 31 to April 3. View online here or as a PDF.